It’s October, and you know what that means! From the recent acquisition of the Vivien Leigh Archive by the Victoria and Albert Museum, to a BFI film season, and much more, the spotlight will be shining brightly on Vivien’s memory this autumn. I’ve always thought that Vivien was better appreciated for her contributions to Hollywood films than she has ever been here in her native England, but the fact that so many of these events are happening around London shows that this national treasure hasn’t exactly been forgotten. And she’ll be celebrated in the States, too, although it seems to be more of a nod to the 75th anniversary of Gone With the Wind next year than to Vivien’s 100th birthday. Still, there will be no shortage of opportunities for fans to indulge in their appreciation for Vivien Leigh! October 10 (UK) and 15 (US): Publication of Vivien Leigh: An Intimate Portrait. Pre-order your copy on Amazon (US | UK) or support your local bookstore (highly recommended)! You can also order it for Kindle and other tablet devices. Until October 31: Vivien Leigh: An Intimate Portrait featured as TCM’s Book Corner Selection for October. You can enter to win a free copy on their website. Until October 31: Vivien Leigh: A Century of Fame exhibition at the Topsham Museum, Topsham, Devon. The Topsham Museum in the picturesque county of Devon was the former home of Vivien Leigh’s sister-in-law, Dorothy Holman. They’ve got a permanent display of some of Vivien’s personal items, but this special exhibition focuses on Vivien’s connections to Devon, with items lent by Vivien’s daughter Suzanne and other local archives. November 3: Susie Lindeman stars in the one-woman play Letter to Larry. Jermyn Street Theatre, 7 pm. November 5: Select items from the newly acquired Vivien Leigh Archive will go on display in the permanent Theatre and Performance exhibit at the V&A. There will also be a free talk and tour given by curator Keith Lodwick that focuses specifically on Vivien. Also on display will be the Christian Dior dress that Vivien wore in the play Duel of Angels, as well as a headdress that Oliver Messel designed for Vivien to wear in Caesar and Cleopatra (1945). Attendees are to meet in the entrance area of the museum. Running time: 30 mins. November 5: Centenary celebration at the Actors’ Church, Covent Garden. Actress Susie Lindeman stars as Vivien Leigh in a 45 minute version of her one-woman show Letter To Larry, followed by readings and reminiscences by fellow actors and figures who knew Vivien. I’ll also be there signing copies of Vivien Leigh: A Intimate Portrait. The event starts at 7.15 pm. Ticket price: TBA. November 5 – January 1: BFI film season and nationwide Gone With the Wind theatrical release. The BFI Southbank has put together a fantastic program of film screenings and special talks to commemorate Vivien’s 100th birthday. Highlights include 13 of Vivien’s films on the big screen, including illusive titles 21 Days Together (1940) and The Deep Blue Sea (1956), a talk by V&A curator Keith Lodwick about the Vivien Leigh Archive, and a new restoration and nation-wide theatrical release of Gone With the Wind. The BFI is also offering fans of vivandlarry.com a special discount on tickets to all Vivien screenings and associated events during the season (as well as the full run of GWTW). Quote the code “BEAN” while booking online or by phone to claim your discount! Tickets go on sale October 8. November 5: Vivien film tribute on TCM. Everyone’s favorite classic movie channel, TCM (US), will be showing Vivien Leigh films all day on November 5 in honor of her birthday. November 13: Vivien Leigh: Role Model or Victim Figure? – Lunchtime lecture by University of Huddersfield professor Jayne Sheridan. V&A, Hochauser Auditorium, Sackler Centre, 1 pm. Price: Free. November 17: Vivien Leigh fan meet-up in London. I’m planning a casual fan meet-up on November 17 in London to celebrate Vivien’s birthday. We’ll be going to the V&A to see the Archive items on display, attending a screening of Waterloo Bridge at the BFI, and going for an early-ish dinner. Attendees are responsible for booking their own film tickets (see above), and MUST email me to confirm. November 19: Cohen Films Collection releases the Vivien Leigh Anniversary Collection on DVD and Blu-ray. Includes all new restorations of Fire Over England, Dark Journey, Storm in a Teacup, and Sidewalks of London, plus a booklet essay written by yours, truly. 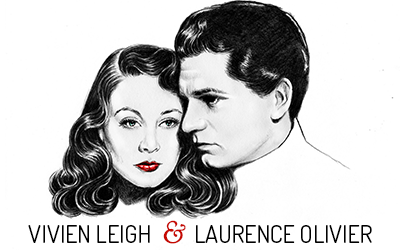 The restored films will also be screened at the BFI as part of their Vivien Leigh season. 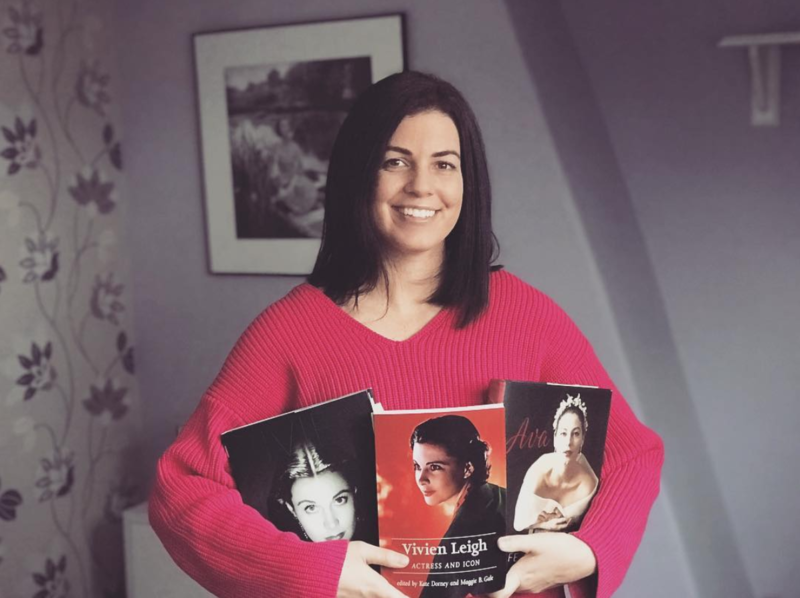 November 28: Vivien Leigh: A Intimate Portrait – Lunchtime lecture by Kendra Bean. National Portrait Gallery, Ondaatje Wing Theatre, 1.15 pm followed by book signing. Price: Free. 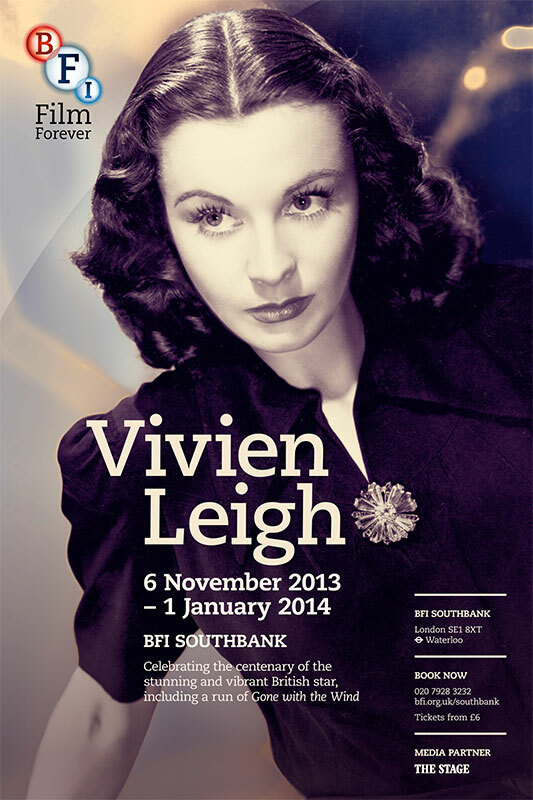 November 30: Official opening of Starring Vivien Leigh exhibit at NPG. Through a variety of rare photographs and ephemera, this exhibit traces the trajectory of Vivien’s career and image as one of the most famous British women of the 20th century. January 16: Starring Vivien Leigh gallery tour. I’ll be leading a Late Shift tour of the Starring Vivien Leigh exhibit at the National Portrait Gallery, speaking about some of my favorite items on display. 7.30 pm. Price: TBA. June 6-8: Gone With the Wind 75th Anniversary Celebration. The Scarlett on the Square Museum in Marietta, Georgia will play host to this three day event commemorating the greatest film of the Hollywood studio era (details TBA). I can hardly wait for your book to arrive from Amazon! I know it’s going to be fabulous, and I much appreciate all the research you’ve done to make it so. It will be a welcome addition to my library! Thank you so much! I just love your book (got it for Christmas) and am so pleased you that you published. I’d like to know when the V and A will be staging their exhibition of the artefacts belonging to Vivien. As I live in Cheshire I would need to plan ahead for a to visit London.